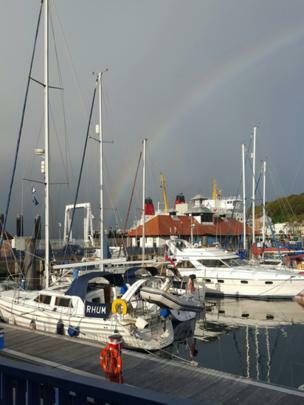 A selection of your pictures of Scotland sent in between 4 and 11 September. 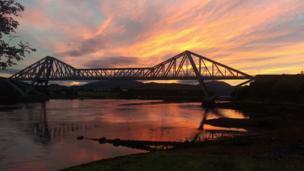 Sunrise over Connel Bridge, near Oban, was watched by Andy H.
Lauren Kelly was at Rothesay harbour, on the Isle of Bute, on Friday. 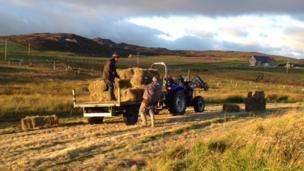 September means harvest time on the Isle of Colonsay. 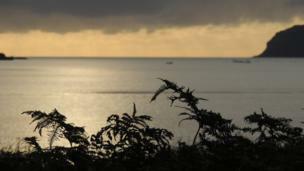 Photo by Jan Binnie from Scalasaig. 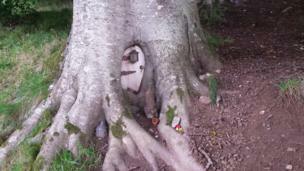 Ross and Eileen Wilkinson, from the Black Isle, came across a fairy house on the Rosehaugh Estate while out walking their dog. 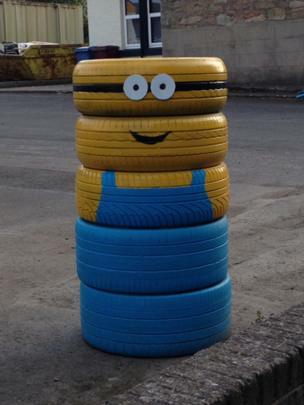 Was a Minion on the loose in Cupar? Photo by Mathew Legge. 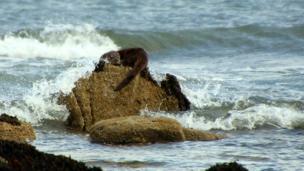 Louise Mackay, from Brora, watched this otter rest on the rocks of the local beach on Saturday. 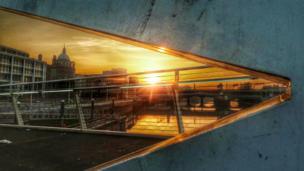 Glasgow as seen from the Tradeston footbridge, over the River Clyde, by John Dyer from Motherwell. 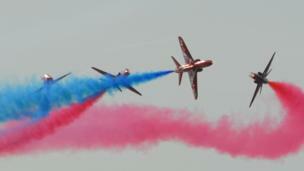 Andrew Henderson, from Kilmarnock, watched the Red Arrows at the Scottish Airshow. 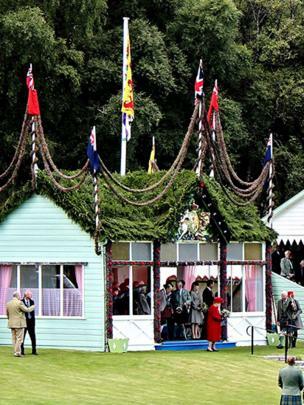 The Queen made time for the Braemar Gathering, as did Angela Jones and husband Brod from Alford. 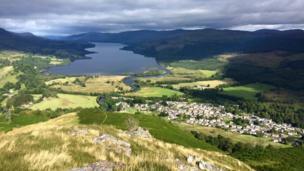 A steep climb up Sron a'Chlachain rewarded Fiona and Alan Edwards, from Linlithgow, with this view of Killin. Fionnphort on the Isle of Mull. 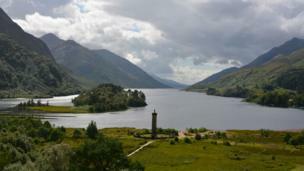 Photo by Fiona MacLeod from Auchtertool. 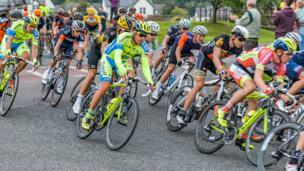 Riders in the Tour of Britain cycle race made their way through St Boswells. Photo by Alex McSorley. 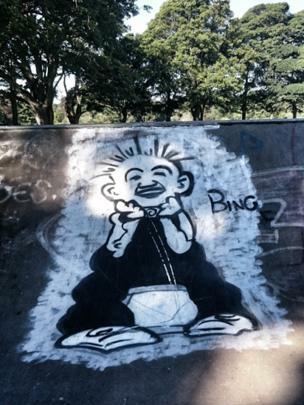 Oor Wullie was spotted in Beveridge Park, Kirkcaldy, by Rae McGaffin. 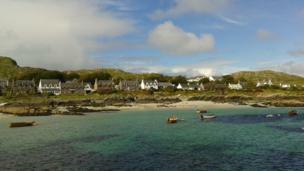 Emma Hare visited the Isle of Iona during her latest holiday. 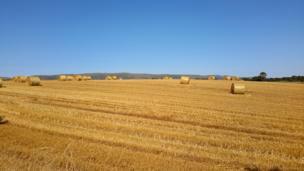 Hay bales in Bishopbriggs. Photo by Raymond Beatty from Glasgow. 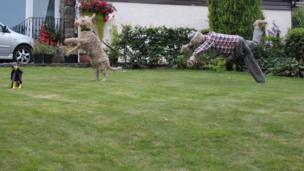 Bothwell scarecrow festival is in full flow. 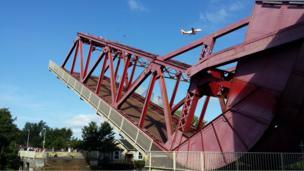 Photo by Martin Dornan from Coatbridge. 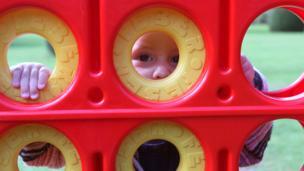 Hamish discovers Connect Four with Carolynn Malone from Rutherglen. 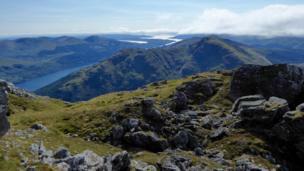 View west from the top of the Cobbler from Alisdair McDonald. David Ferguson, from Renfrew, visited Scotland's only operating Bascule Bridge, over the River Cart, on Doors Open Day on Saturday. 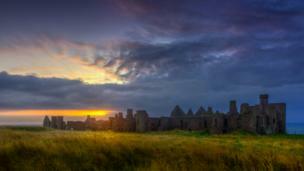 Dawn breaks over Slains Castle by Cruden Bay. Photo by Paul Cameron. 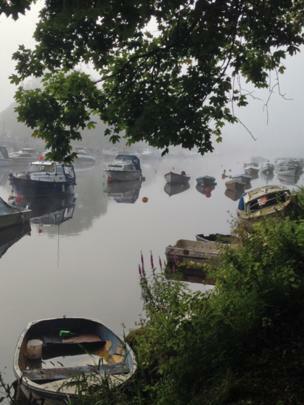 Fog over the river in Balloch. Graeme Sharp was cycling to work. 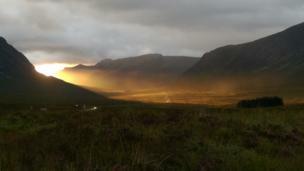 Thomas Tobias, from Falkirk, was walking the West Highland Way when the sun broke through the clouds over Glen Coe. 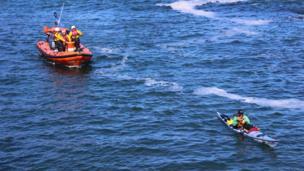 Elaine Wilson, from Lasswade, watched St Abbs lifeboat accompany Nick Ray back to shore, after his round Scotland trip to raise funds for the RNLI, and before the station closed for good on Tuesday. 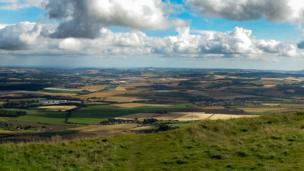 The view from the summit of East Lomond Hill. 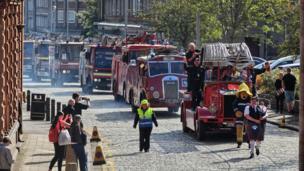 Photo by Mrs. Y. Saunders from Cupar. 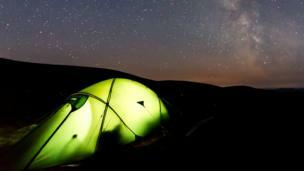 A clear night over the Cairngorms gave Chris Andrews, from Burntisland, a spectacular view of the Milky Way.